Receive your first Reward within 24 hours of sign up. At participating locations only. 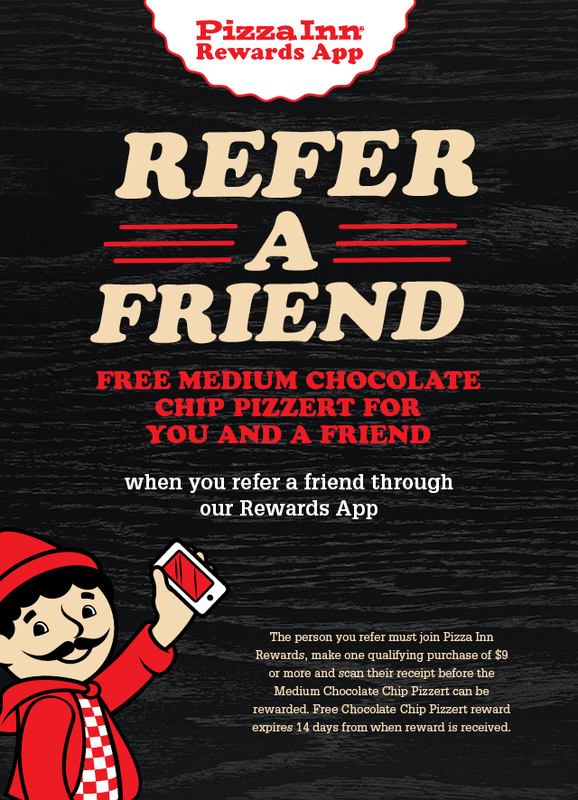 *Free Medium Chocolate Chip Pizzert reward available after 24 hours of sign up. All rewards redeemable in dine-in or carryout only. Not valid with any other offers. Take a photo of your receipt using the Rewards app. $9 purchase (before taxes) earns one credit. Earn one credit every 24 hours. Receipt expires after 7 days of purchase. Visit us often to get FREE Rewards. At participating locations only. $9 purchase before taxes equals 1 visit credit. One credit per visit, per day. Minimum purchase amount $9 (before tax) to receive credit. May not be combined with any other offers. 9th visit reward redeemable for one free Adult Buffet or Large (up to 3-Topping) Pizza. All rewards redeemable dine-in or carryout only. During our limited time Double Punch Wednesdays promotions, a second punch will only be given one time per each Wednesday during the promotional timeframe. Any additional valid purchases of $9 or more (before taxes) on the same Wednesday will be eligible for the standard 1 credit. Please allow 24 hours for second JoJo punch to be awarded in app. Receipts will be deemed invalid if not uploaded within 7 days of purchase date.